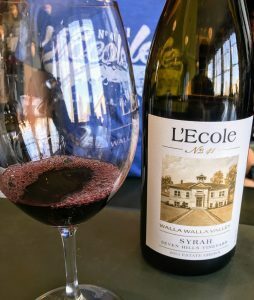 A few quick thoughts on the 2013 L’Ecole 41 Syrah from the Seven Hills Vineyard in Walla Walla. L’Ecole 41 was founded in Walla Walla by Jean and Baker Ferguson in 1983 with their daughter, Megan, and her husband Marty Clubb running the winery today. It was the third winery opened in Walla Walla after Leonetti and Woodward Canyon. L’Ecole has been producing wine from the Seven Hills Vineyard since 1993 and now owns 170 acres in the eastern part of the vineyard in partnership with Leonetti Cellar and Pepper Bridge Winery. 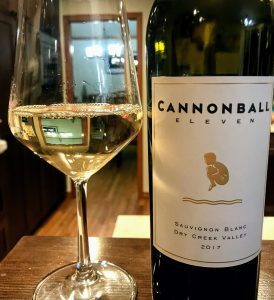 The other half of Seven Hills is owned by The Crimson Wine Group, owners of Seven Hills Winery, Double Canyon, Seghesio, Archery Summit, Pine Ridge and Chamisal. 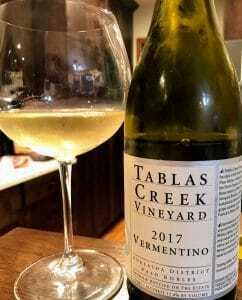 Known as Seven Hills East, the vineyard is sustainably farmed and managed by Sadie Drury. Prior to taking over the vineyard, Drury was previously the assistant vineyard manager at Ciel du Cheval on Red Mountain. The 2013 Syrah is 100% varietal with 20% of the grapes being fermented as whole clusters with the stems. The wine spent 18 months aging in 40% new oak with around 1,040 cases produced. Nice dark blackberry notes emerge on the palate with this wine. 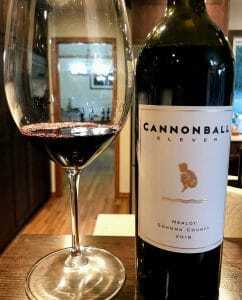 Medium intensity nose with a mix of dark and red berry fruits. The fruit is present but not very defined. Some noticeable oak spice and smokiness. The darker berry fruits carry through to the palate more than the red. They become more defined as blackberry and cassis. 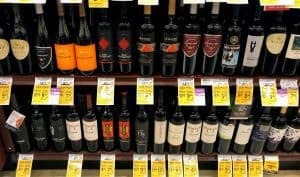 There is also a savory, smokey meaty element that emerges that is heighten by the medium-plus acidity. Very mouthwatering. 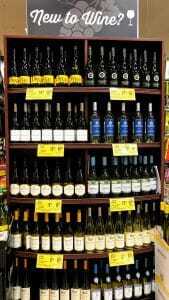 The medium-plus tannins that have a grippy edge to them and balances the medium-bodied weight of the wine. 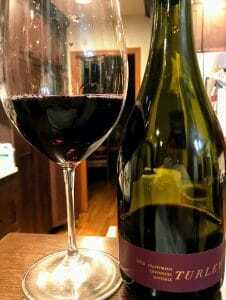 At $30-35, this is a big quality jump up from the regular L’Ecole Columbia Valley Syrah ($25). It’s definitely worth the splurge. 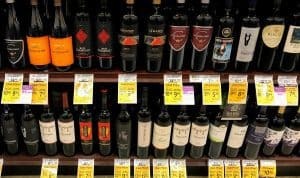 Though certainly New World in style, there is an elegance in the savory, meaty notes and juicy acidity that gives it charm. 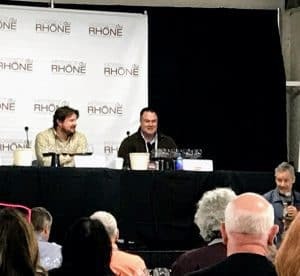 Tagged Archery Summit, Chamisal Vineyards, Ciel du Cheval, Columbia Valley, Double Canyon, L'Ecole 41, Leonetti, Marty Clubb, Paul Gregutt, Pepper Bridge Winery, Pine Ridge, Sadie Drury, Seghesio, Seven Hills Vineyard, Seven Hills Winery, Sustainable Viticulture, Syrah, The Crimson Wine Group, Walla Walla, Washington Wines and Wineries, whole cluster fermentation, Woodward Canyon.